In recent months, the increasing number of high-profile allegations of sexual harassment and sexual assault has put a spotlight on the charged issue of proper decorum in the workplace. The issue that many employers face, however, is that the line between innocent behavior and offensive behavior can be difficult to draw. 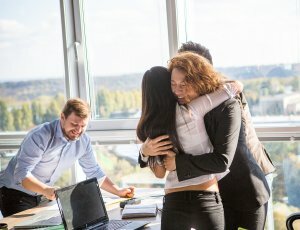 That’s why it’s important for employers to be as transparent as possible about workplace rules regarding unwanted touching—including behavior that many people might regard as innocuous, such as hugs. In addition, employers should make themselves familiar with the laws of their state regarding sexual harassment and sexual assault. Staying inside these laws is essential for protecting your company from potential lawsuits from current and former employees. If you are concerned about whether your workplace policies are strong enough to protect your company from possible legal action in the future, you may want to consult with a lawyer in San Jose, CA, with experience in employer rights .